Unleash the madness of the Mighty Shub Niggurath! Taste the power of the Elder Gods from the Cthulhu Mythos in amazing pinball table! The Elder Gods created by Lovecraft will be available to play pinball with him. In our application Pinball Myths 3D Shub Niggurath you will discover the wonderful world of Pinball, make a mysterious journey, plunge into the atmosphere of adventure, meet the mystical creatures, monsters and much more evil and horror ! - Amazing atmosphere of horror and adventure. -You have to avoid traps, shoot targets and react very fast fleeing from Lovecraftian horrors which fill the table. -Shub Niggurath have created you to serve him. -You must collect a resource called corruption for Shub Niggurath! -During your mission, you must to impress Shub Niggurath. -For the services to Shub Niggurath, you will be able to evolve, improve your skills to defeat enemies. Download this game and help Shub Niggurath get all the balls in the world for his party in this pinball game! Each ball can help you invoke, level up or upgrade your creatures from Lovecraft's Cthulhu mythos. 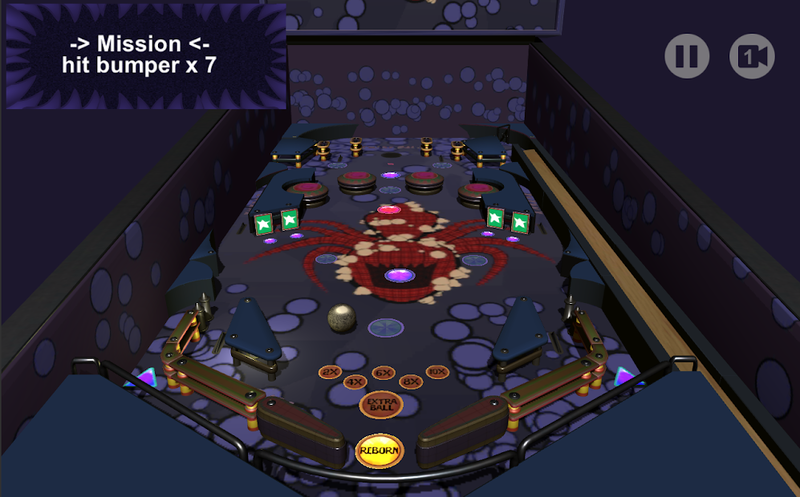 Pinball Myths 3D Shub Niggurath offers a new way to see H.P Lovecraft impressive universe. Can you reach the max level? Will you be brave enough to unleash every monsters?